With military families on the move across the country, the hunt is on for a home to buy or rent! And while tenants are anxious to find the perfect home and often feel at the mercy of a landlord, military families under strict time constraints can end up making unwanted concessions. 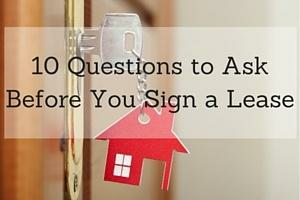 Make sure that you've asked the right questions and covered your bases before you sign on the dotted line! Here are a few suggestions as you begin your rental search. 1) How will I submit my personal information? You can never be too careful with your personal information. If they're not already using it, introduce your prospective landlord to the idea of a service such as SmartMove. All personal information can be submitted through a secure online source, which protects both you and the landlord. 2) What is the monthly rent, and is it subject to change? Ask for clarification on the total rental amount, and whether or not this is for the life of the lease agreement. Confirm that the lease agreement stipulates the agreed upon rental amount and is void of any wording allowing for an increase before you sign. 3) How much is the security deposit and any pet fees? 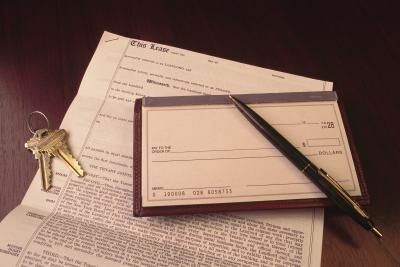 Ask your landlord for the total amount due upon signing the lease agreement. This can be a substantial amount of money if it includes first/last month’s rent, security deposit, and pet fees. Many landlords require an additional fee or deposit if you'll have animal(s) on the premises, and there is no structure for the determination of this expense. If you feel that a fee or deposit is unreasonable, try to negotiate with the landlord to see if you can get it reduced. Also ask the landlord to stipulate if this is a fee or a deposit, meaning one is non-refundable, but the other may not be. 4) What exactly does my monthly rent cover? Homes come with an abundance of monthly maintenance such as pool care, lawn care, pest control, water softeners, reverse osmosis systems, and utilities. Discuss which items the landlord will cover and which items will be out-of-pocket expenses for you. If the landlord has an expectation for the care of the landscaping, determine how much it will cost to maintain the yard so that you can include this in your monthly budget. If the landlord has the expectation that the filters of the reverse osmosis be changed on a regular basis or salt added to the water softener, ask if those expenses can be deducted from your monthly rent and make sure this is noted in the lease agreement. 5) How and when will the landlord access the premises? It is highly unlikely that you'd appreciate unexpected visits from your landlord or to later find out that your landlord accessed the premises without your permission, so discuss this issue with your landlord prior to signing the lease so you both have a clear understanding. 6) What are the requirements for moving out? How much notice is required to break the lease, with or without invoking the military clause? Does the landlord require you to have the carpet or home professionally cleaned when you vacate? If so, is it your role to coordinate the cleaning or is this an out-of-pocket expense that you are responsible for? It may seem strange to discuss moving out before you've moved in, but it's always easier to set forth the expectations ahead of time. 7) What are the grounds for withholding my security deposit? A security deposit is just that: security against damage that goes above and beyond the normal wear and tear of living in a home. It is wise to ask the landlord on what grounds they would withhold a deposit so that you have a clear understanding before signing a lease agreement. Getting caught up in the frenzy of a PCS move is nearly impossible to avoid, but take your time and be thorough when looking for a home. Use these suggestions to create a list of essential questions you should ask your landlord before you sign a lease agreement, and please share any recommendations you have!